Kuzha Puttu is a popular kerala recipe made with coarse rice flour, grated coconut and water. 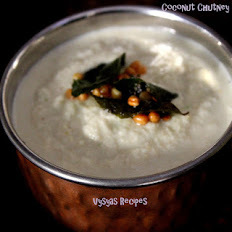 kuzha is a long cylinder like vessel used to make puttu, so it named kuzha puttu.Rice flour and grated coconut is steamed to make this recipe, traditionally served with kadala curry.it is a low calorie recipe. Now we learn to make kuzha puttu with step wise pictures. Puttu podi/Puttu flour - 1 cup. Hot water - to sprinkle. 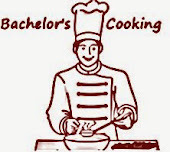 Take a cooker, fill the cooker, with three-fourth of water, and cover the lid,let the water starts boiling, in a mean time mix the flour with water. Take a Mixing vessel, add puttu podi and salt to it, sprinkle some water, little by little. Flour should be in the form of Grated coconut or bread crumbs. When you hold the flour, you should get the shape. This is the right consistency of flour. if you sprinkle more water puttu becomes hard, or if you a sprinkle less water puttu, won't be cooked. Mixing the flour with water is the very important step to make puttu. 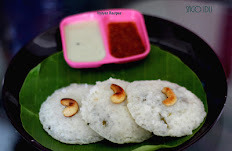 Take a puttu maker, insert a round disc, at the bottom of puttu maker, then add it with 2 handful of puttu podi, then 1 tsp of Grated coconut, again 2 handful of puttu podi and 1 tsp of grated coconut, do it alternatively, till you reach the end of puttu maker. Then cover it with a lid. When you get steam in a cooker,attach this Puttu Maker in a cooker, and let it cook for 8 - 10 minutes, in medium flame.you get steam from three holes.Then remove it from the cooker, and gently push it down with a metal skewer(which is a long metal stick given with puttu maker, shown in the picture).puttu comes out clean as shown in the picture. 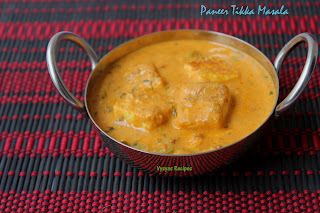 Then serve hot with kadalai curry recipe. Thanks for sharing the lovely recipe.well done. thanks for sharing.will try it soon. Nico combo n healthy dishes..
puttu and kadalaicurry looks delicious and tepting. Looks so tempting.. Very delicious..
A delicious and healthy meal. 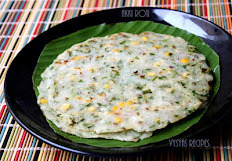 I remember having it at a Keralite friend's house and loving it. 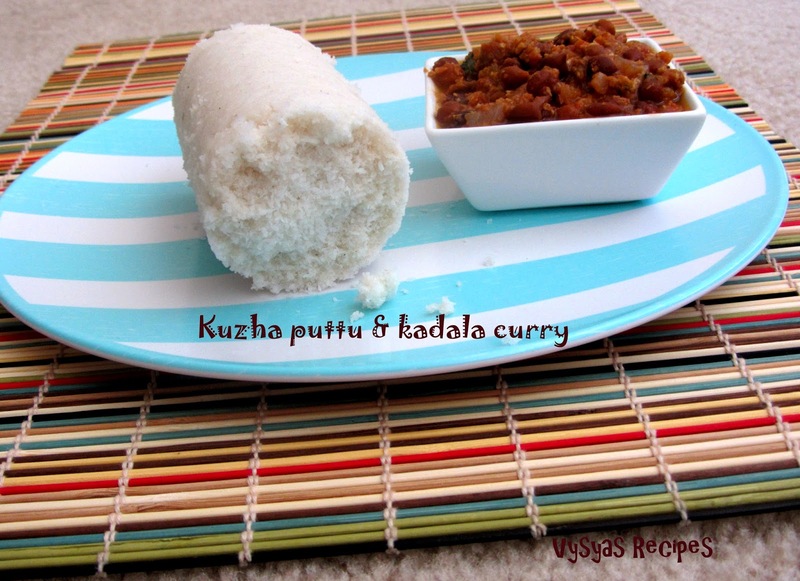 Delicious puttu and kadala curry, awesome combo nothing can beat it. Tempting puttu and kadala curry...yummyyyyyy!!!! !